Theme: A teacher in a classroom teaches the importance of recycling. 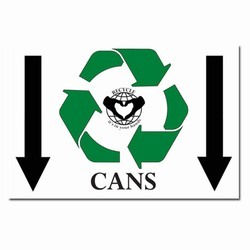 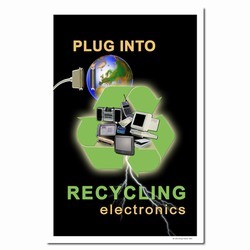 A person recycling adds to a cleaner and better world. 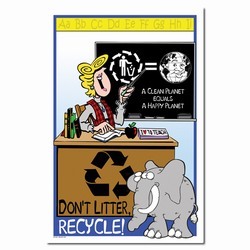 An image of an elephant reminds us that it's important to remember about recycling. 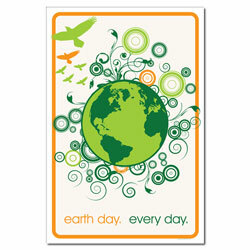 Message: "A clean planet equals a happy planet. 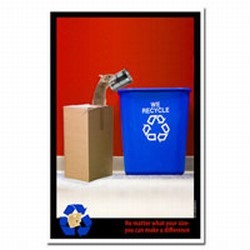 Don't litter, recycle!"